Record Store Day and its fall counterpart, Back to Black Friday (the Friday after Thanksgiving) are days that labels release limited-quantity vinyl (and sometimes CD) editions of records for customers to place on the non-virtual checkout counter. In other words, you have to get up and get to a record store to participate. In honor of this November's Back to Black Friday, Omnivore will release three limited-edition vinyl titles: Townes Van Zandt’s Sunshine Boy, Gene Clark’s Here Tonight: The White Light Demos; and Ernie Kovacs Presents A Percy Dovetonsils Chrithmath. 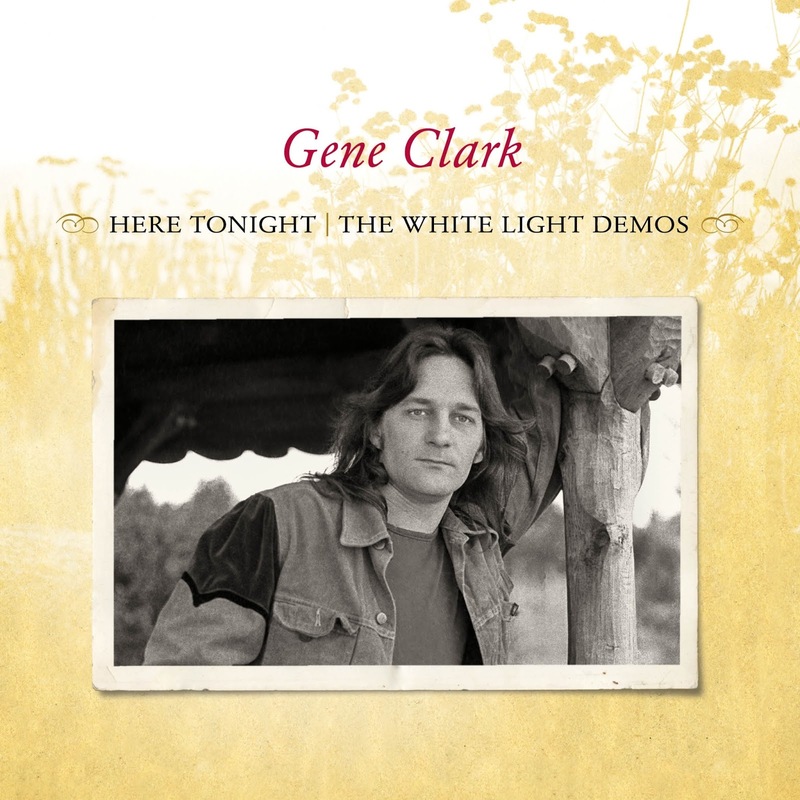 Gene Clark: Here Tonight: The White Light Demos: With a little help from Bob Dylan, the Byrds gave rock ’n’ roll a literary sensibility. Gene Clark had come to embrace the Dylan style of oblique lyric poetry, much to the chagrin of his band mates. Clark soon left the Byrds and rock stardom, and sequestered near northern coastal Mendocino, Calif. White Light was his second post-Byrds solo album, originally released on A&M Records. Omnivore recently released on CD the 1970-71 demos from this legendary session, including three previously unissued songs. Reviewing that release, Relix noted: “Clark’s personal demons hindered his brilliant solo albums. But now, especially in such introspective form, they will undoubtedly find a new and welcoming audience.” Uncut’s Bud Scoppa described it thusly: “Even [the] moments of relative repose unfurl against an unmistakable backdrop of melancholy, like shafts of sunlight intermittently appearing amid a thick bank of storm clouds.” Never before available on LP, the pressing for Back to Black Friday Record Store Day will be on orange vinyl. Ernie Kovacs Presents A Percy Dovetonsils Chrithmath: One of television legend Ernie Kovacs’ most beloved characters was Percy Dovetonsils. Percy made regular performances on shows like Kovacs Unlimited in the 1950s. With martini in hand and his trademark lisp, he would wax poetic, always with hilariouth rethulth. In June of 2012, Omnivore Recordings issued the acclaimed Ernie Kovacs Presents Percy Dovetonsils . . . thpeaks, an unreleased album from the 1960s. One of its tracks, “The Night Before Christmas on New York’s Fashionable East Side,” is joined here by five holiday poems from the Kovacs Unlimited show, all of which are previously unissued. Released in conjunction with EdiAd Productions, Ernie Kovacs Presents: A Percy Dovetonsils Chrithmath is the ultimate Kovacs holiday collection! To make this release even more special, it is a 10-inch full color picture disc, limited to 1,000 copies. And, even if you can’t (or don’t want to) play it, it comes with a download card so you can also have the entire program digitally. Perfect for comedy fans of all ages, as well as picture disc collectors, Ernie Kovacs Presents: A Percy Dovetonsils Chrithmath should be at the top of everyone’s Christhmath litht. Plus, you can keep the Kovacs holiday spirit rolling with a CD reissue featuring his wife: The Edie Adams Christmas Album Featuring Ernie Kovacs (1952).